Sleep. We all need it, we all do it, we all enjoy it. But how much of it do we get? And how much sleep do you need? Scientists are often split, but the general rule of thumb is around eight hours a night on average. But – crucially – everyone’s ‘correct’ amount is different. Some people operate better with twelve hours of sleep behind them, others need only as little as five or six. How about waking up? Do you wake up easily? Is it like a movie when you stir? Your alarm clock goes off, you’re upright instantly, turning it off, stretching your arms, yawning and ready to go? Or, like us, are you a zombie? Incapable of opening your eyes? Do you hit the snooze? Let’s face it – are you lazy…? If you answered ‘yes’ to that last question, we’d understand if you were a little ashamed. 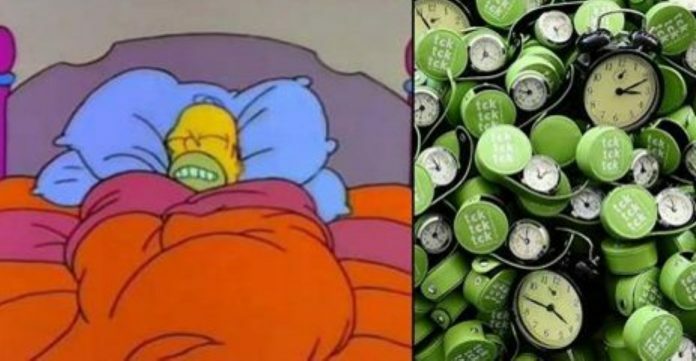 But don’t be – new research suggests that hitting that snooze button, enjoy your lie-ins, being lazy is indicative of being more intelligent that the average person! Not only are ‘lazier’ people who find waking difficult smarter, they’re also more creative. The reason may lie in the fact that cleverer people tend to be night owls. If you stay up later, you wake up later. Makes sense, right? Quieter people have been shown to have higher IQs than extroverted people than scream and shout and talk loudly. Self-criticism is healthy. It shows self-awareness and awareness of your environment and how you fit into it. Self-critical people identify their flaws, work on them, better themselves and are smarter for it. Finally – and this is a great tip – consider the Dunning-Kruger effect. It says that the smarter you think you are, the less likely you are to actually be more intelligent than the average human. Truly gifted individuals rarely believe they are more intelligent than anyone else. People who think they’re better are generally arrogant and don’t actually understand or value the wits of others. This is What Happens When You Drop 20 Kilograms of Red Hot Steel onto a Frozen Lake! This Street-Smart Kid Did Something Incredible To Stop a Kidnapping!